People in the Puget Sound area have been reporting some rare visitors to our waterway in recent years — including bottlenose dolphins, common dolphins, a sperm whale and even a ringed seal from the Arctic. 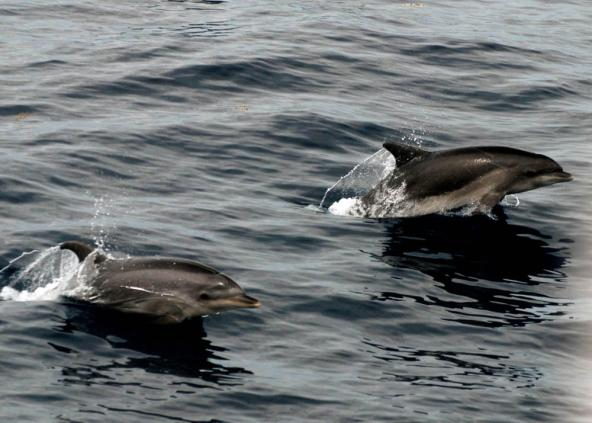 Sudden appearances of these marine mammals have come as a surprise, because the animals are outside their normal habitat. 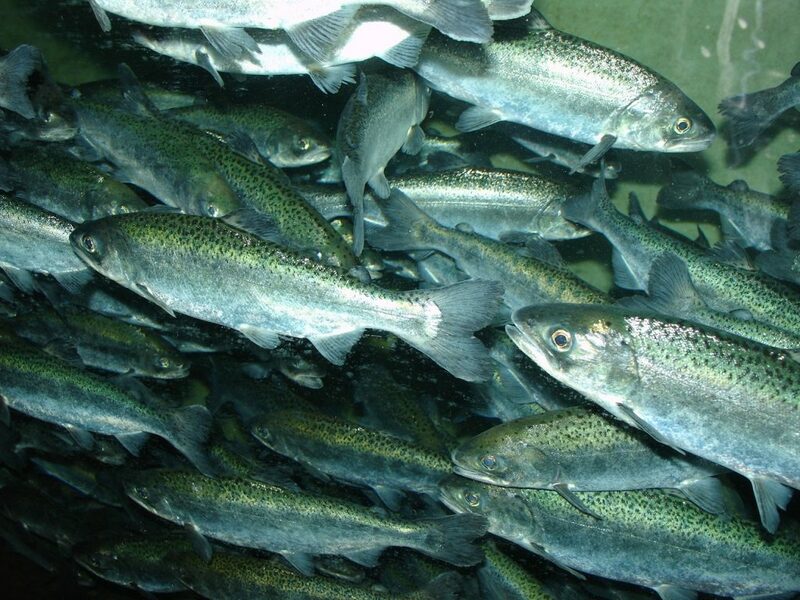 Puget Sound may be too cold or too warm or not deep enough for these animals to flourish, or so experts have thought. 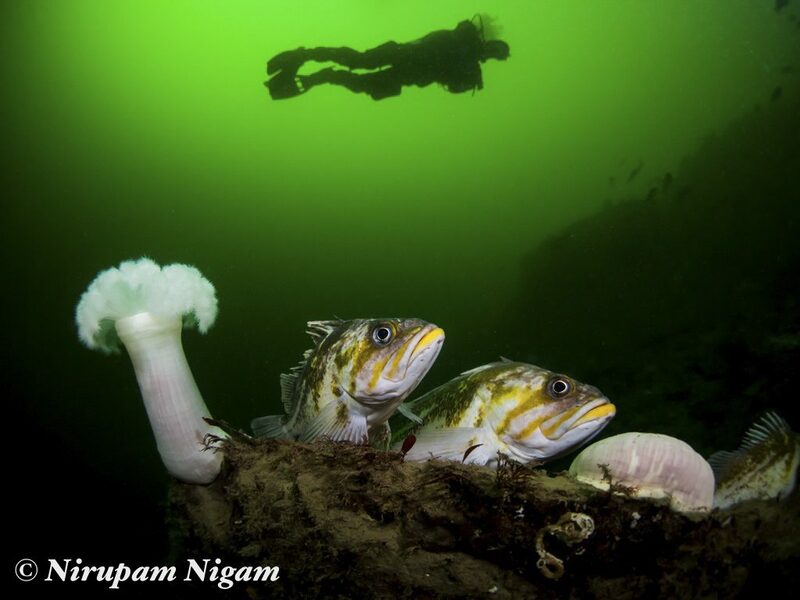 I am always interested when I hear about strange visitors, and I was pleased to tell the stories of seven marine mammal species that are not supposed to be in Puget Sound. They include Miss and Stump, a pair of bottlenose dolphins that worked their way up the West Coast from Southern California and now seem to be making their home in the cooler clime of Puget Sound. Check out my story in the Encyclopedia of Puget Sound. Passion for saving Puget Sound’s killer whales is driving an exhaustive search for ways to restore the whales to health and rebuild their population, but hard science must contribute to the search for workable answers. 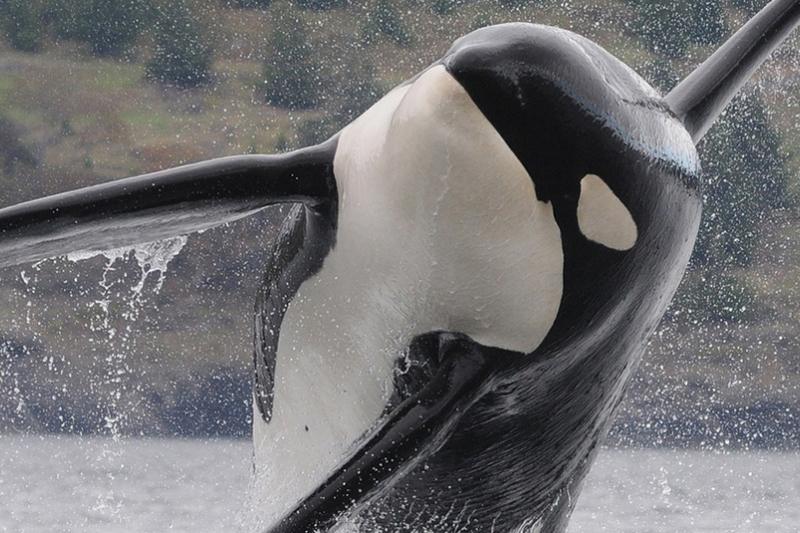 I recently updated readers on the efforts of the Southern Resident Killer Whale Task Force, appointed by the governor to change the course of a population headed toward extinction. Read the story I wrote for the Encyclopedia of Puget Sound or the version reprinted in the Kitsap Sun. I began the story by mentioning the term “no silver bullet,” a term I have heard numerous times from folks involved in the task force. They are emphasizing how difficult it is to restore a damaged ecosystem, while orcas wait for food at the top of a complex food web. All sorts of people are looking for a quick fix, something that will increase the number of Chinook salmon — the orcas’ primary prey — within their range, which includes the Salish Sea and Pacific Ocean from Vancouver Island to Northern California. A sophisticated analysis of sea-level rise in Puget Sound and along the Washington Coast offers shoreline residents and land-use planners a new map-based tool to assess potential flood hazards for the coming years. Sea-level rise depends on two factors: how fast the oceans rise and the rate of vertical land shifts. Uplift, such as what occurs along the Washington Coast, slows the rate of sea-level rise relative to waterfront property. 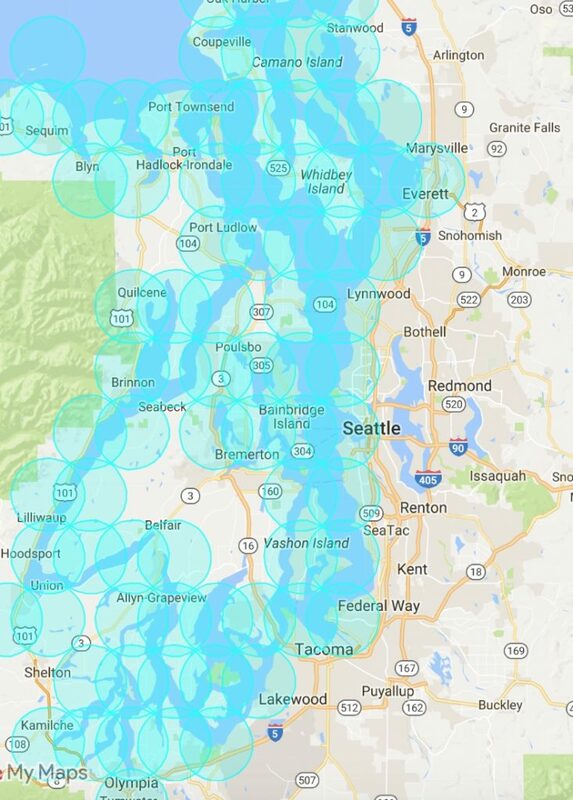 Subsidence, which occurs in Central Puget Sound, results in elevated tides sooner than in stable or uplifting areas. One map on this page shows the measured uplift and subsidence and another shows the uncertainty in that measurement. Ian Miller, a coastal hazards specialist at Washington Sea Grant, has worked on studies that describe sea-level rise in Island County and on the Olympic Peninsula. 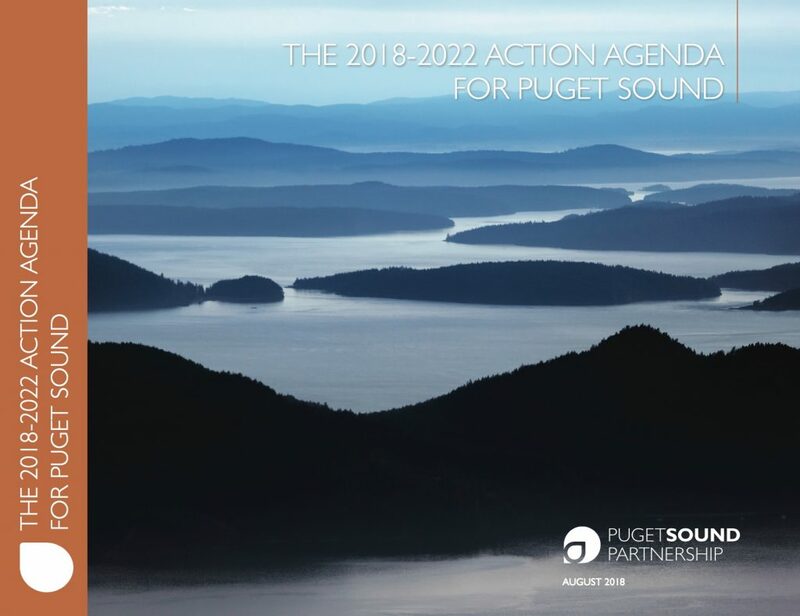 The new report, titled “Projected Sea Level Rise for Washington State” (PDF 10.4 mb) goes well beyond what he and his colleagues have done before. It takes a more detailed look at where the land is uplifting and subsiding, according to Miller, the lead author on the new report that involves work by scientists at Sea Grant and the University of Washington’s Climate Impacts Group. Five years after a mysterious disease began killing millions of starfish and turning their tissues to mush, the decimated population has yet to recover. Meanwhile, researchers continue to struggle to identify a cause for the disease, which appears to have uncertain ties to viruses and possibly environmental conditions. In Puget Sound, it’s not as easy as it once was to find a diseased sea star, which seems to be a promising sign until you consider how many have died. As I learned last week during an outing to Lofall in North Kitsap, the total number of starfish remains low compared to four years ago, and recovery has been minimal, if at all. 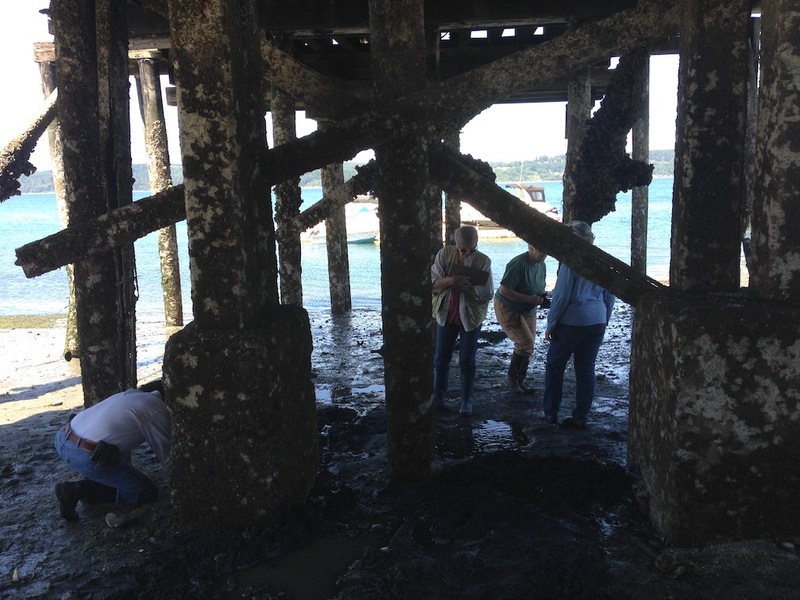 Under the Lofall dock, volunteers have observed that the number of sea stars is still low, but sick ones are no longer common. Local volunteers have been observing sea stars at Lofall since the beginning of 2014. I first visited the site the following summer with three retired women who lead the monitoring effort there. (See Water Ways , June 17, 2014.) They are still making regular trips at low tide, counting and measuring the starfish and looking for signs of disease. Two deaths — no births. 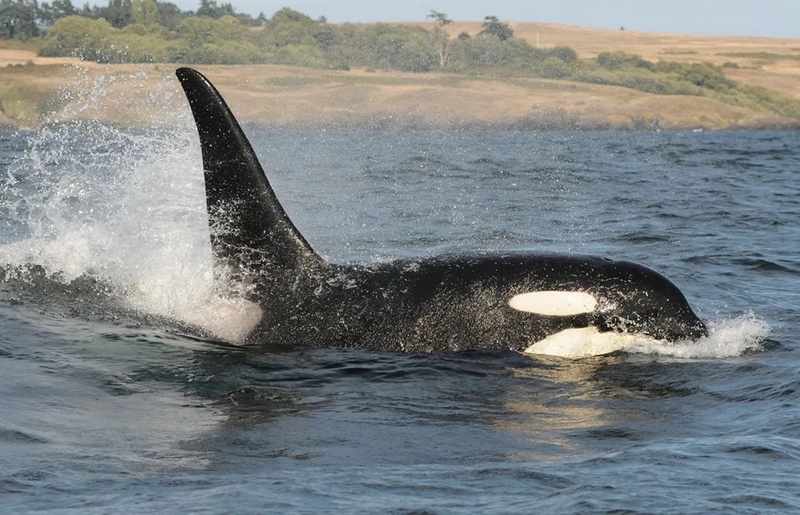 The annual census of Puget Sound’s resident orcas shows a continuing decline in their population, as the normally social killer whales focus their attention on finding enough food to survive. Crewser was one of the so-called Dyes Inlet whales, a group of 19 orcas that spent a month in the waters between Bremerton and Silverdale in 1997. (I described that event for the Kitsap Sun in 2007.) Crewser was only 2 years old when he was with his mom, Rascal or L-60, during the Dyes Inlet visit. Taking on the enormous problem of plastic pollution in the ocean, the European Union is on track to ban single-use items made of plastic, while communities in Washington state slowly adopt bans on plastic bags. 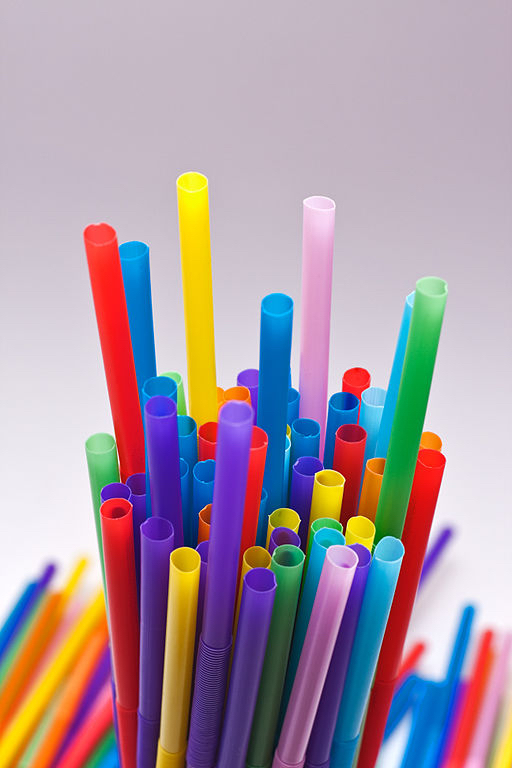 Straws are listed as a problem plastic. The European Commission is targeting specific plastic products that constitute 70 percent of the items found among marine debris lost in the sea and along the shoreline. Cotton swabs, plastic cutlery, plates, drinking cups and straws are among the items that would be banned outright, because non-plastic alternatives are available. The proposal announced this week goes well beyond those items, however, calling for a 90-percent reduction in plastic drink-bottle waste, possibly through a deposit system. In addition, plans are underway for new waste-disposal programs, ongoing cleanups, and educational efforts designed to reduce the purchase of and encourage the proper disposal of food containers, plastic wrappers, cigarette butts, wet wipes, balloons and fishing gear. Manufacturers of plastic products would help fund those various programs, according to the proposal.